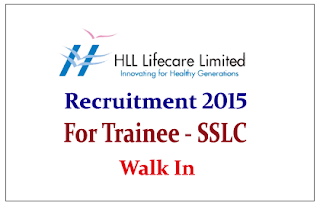 HLL Lifecare is hiring SSLC pass candidate for the post of Trainee. 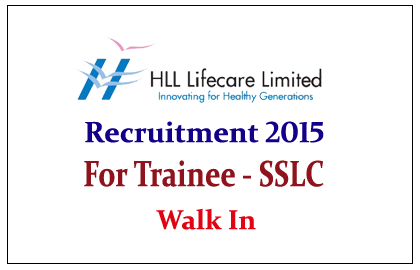 Interested and Eligible candidate can attend the direct walk in Interview on 07th and 08th July 2015. How to Apply: Interested and eligible candidate can attend the walk in interview to below mentioned address on 07.07.2015 and 08.07.2015. For more details kindly check official notification.